I attended the Landowner Chat and Chew Session that was sponsored by the Alabama Forestry Commission, The American Forest Foundation, International Paper, National Fish and Wildlife Foundation, and My Alabama Woods. This was a great opportunity to meet with fellow landowners and discuss: Landowner objectives, Wildlife assistance opportunities, the importance of a forest management plan, the impact of threatened and endangered species on Forest Management, selection and utilization of professional assistance, and a wrap up discussion by attendees. Many forest owners are missing great opportunities when they pass up these type of events. Not only was the event free we had a nice lunch and the bonus was a free book, Managing Forests on Private Lands in Alabama and the Southeast. This came from the Alabama Forestry Foundation. 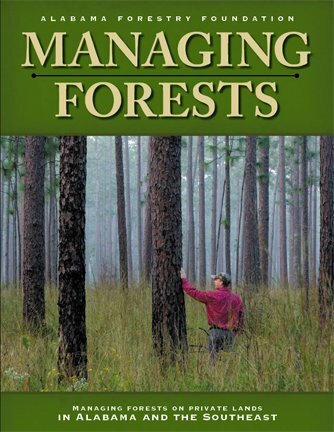 This 500 page book is a valuable guide for the forest landowner and offers advice on too many subjects to list in this article. Please make sure you get to know your local extension personnel, your state foresters, and your state wildlife biologists and take advantage of any available educational programs.